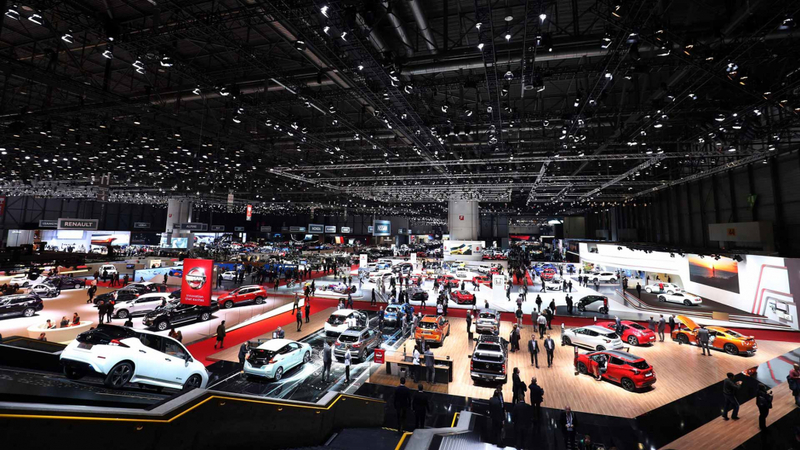 Motoring Research will be live from the floor of the 2019 Geneva Motor Show, bringing you all the news and announcements as they happen. Join us for the biggest reveals, major debuts, and everything else Geneva can throw up. All times listed are GMT. Experience the nail-biting finale to the 2019 European Car of the Year Award – won by Jaguar! Aston Martin AM-RBR 003 – is this Aston’s McLaren Senna moment? 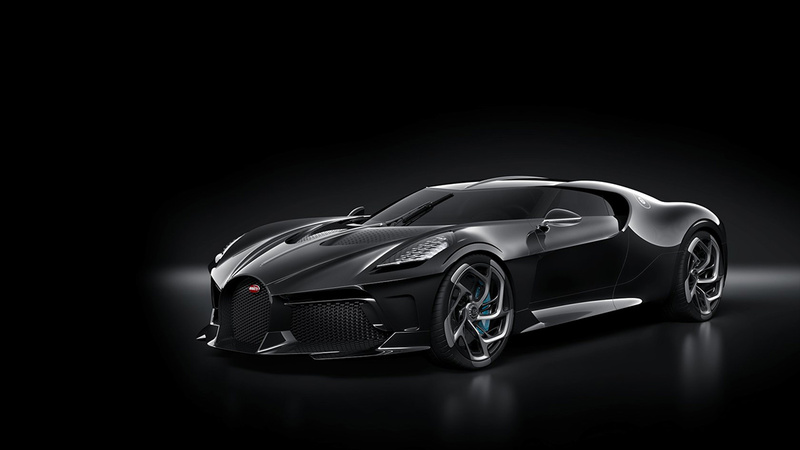 Bugatti La Voiture Noire – the most expensive new car, ever! So it’s back to electrification. Rather than being far-sighted visions, electric cars are getting real. Honda’s pretty E Prototype appears virtually in the guise it will go on sale later this year. Skoda has an electric concept that isn’t far off showroom-ready either. Same for Seat. And Peugeot’s gorgeous new 208 is here, including the e-208 EV that will go on sale from its imminent launch. Just a few pounds more on monthly finance and you could trade the little petrol engine for electric. However, an electric hypercar was one of the show-stealers. Automobili Pininfarina launched with a bang at Geneva 2019, and a 1,900 horsepower work of art called the Battista. Beautifully crafted to justify its multi-million price tag, this is Pininfarina showing off its artistry, and electric drivetrain partner Rimac showing just how electricity is going to clobber explosively-tuned petrol engines before we know it. 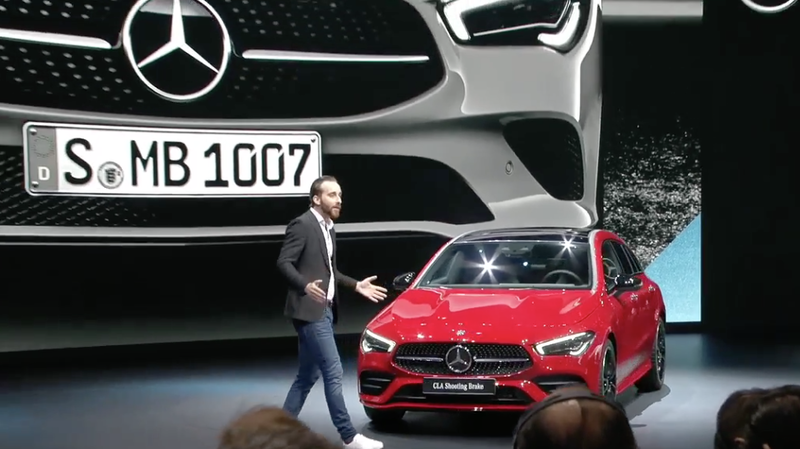 So after an incredible day in Geneva, it’s time to bring things to a close on the live blog for day one of the 2019 Motor Show. You can check out all the galleries and articles above, or journey through all the big reveals and important debuts below. Even by Geneva standards, the Koenigsegg Jesko is rather special. Ethan has dived deep into the technical detail of the latest Swedish supercar in this article. Supercars and electric power have been two of the big themes running through the first day of the 2019 Geneva Motor Show. We’ve covered much of the performance machinery already, but we now also have a full rundown of the newest electric vehicles on display, too. Geneva sees the return of another historic brand, with the Hispanso Suiza name reappearing on a car for the first time since the 1950s. Set to cost more than €1.5 million, and with a 1,019hp electric drivetrain, only 19 examples of the Carmen are planned for production. They’ll certainly stand out on the road. In case you’re wondering, Akula is the Russian word for shark, and also refers to a class of nuclear submarines! Just 20 of these Ginettas will be made, each costing £340,000. Weighing less than 950kg, and with 575hp, performance should be extreme. Yes, it’s another performance SUV. But it does have a turbocharged V8 engine, built in Maranello by Ferrari! Capable of 0-62mph in 4.1 seconds, and a top speed of 186mph. Also available in red or yellow, with stitching for leather interior to match. Ethan has studied all the information on the new Fiat Centoventi Concept. Find out what it means, and how strongly it will influence the next Panda, right here. Ferrari opted to announce the details of the new F8 Tributo ahead of the Geneva show. It has made the journey to Switzerland though, and you can get all the information you need on it here. With all the attention on Aston Martin today – see everything from 10:09 to 11:05 – this isn’t the first time the brand has used the Geneva Motor Show to shocking effect. 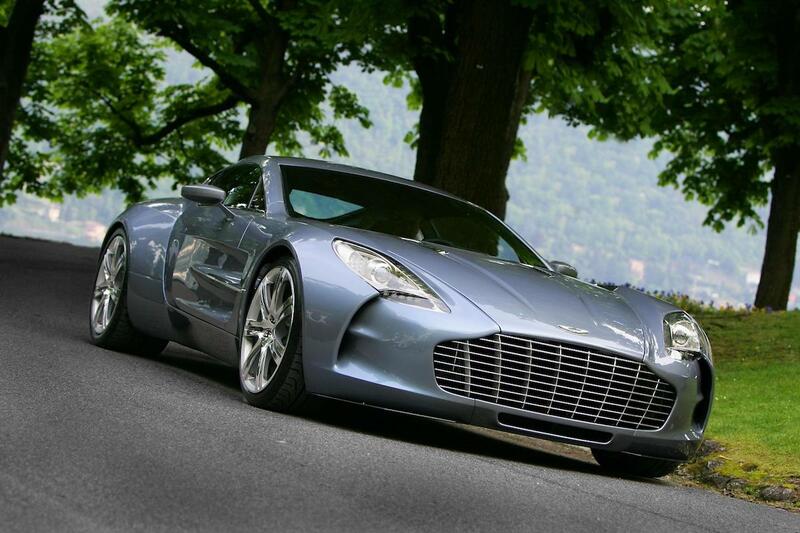 Cast your mind back a whole decade, and the 2009 Geneva show saw the full debut of the One-77. Compared to the AM-RBR 003 and Vanquish Vision concepts unveiled today, it now looks almost ordinary. If you’re looking for all the best new cars in one easy to find place, we have that for you! Take a look at our MR team effort, with everything important to see in Geneva. Ruf is celebrating its eightieth anniversary in 2019. The company first began in 1939, with Alois Ruf Sr. running a service station in Pfaffhausen, Germany. It was until 1977 that Ruf launched its first actual car, with a tuned version of the Porsche 930 Turbo. Amidst all the excitement, Jeep’s Wrangler Rubicon 1941 has sailed slightly below the radar today. A demonstration in the options available from fitting Mopar accessories to the new Wrangler, it certainly looks the part. But it isn’t a Gladiator pickup though is it, Jeep? You can’t question the determination of the Volkswagen Group in attempting to spin-off Cupra into a separate sub-brand from Seat. Rather than simply sticking new badges on existing products, the Formentor previews an entirely fresh design for the Cupra name. Even our Gav doesn’t necessarily hate the idea, either. Amongst all the other electric SUV concepts making a debut in Geneva, the Alfa Romeo Tonale is certainly one of the prettiest. Contrast it against the Mitsubishi Engelberg Tourer at 12:10 if in doubt. Hints of the original Brera concept, which was launched at the Geneva show in 2002, in the design. Whatever your thoughts on electric cars, it’s hard not to get at least a little excited about the Pininfarina Battista. No, it’s hardly affordable at £2 million, but the performance promises to be shocking (sorry). Although Fiat’s press conference at Geneva was several hours ago, details of the Centoventi concept are now filtering through. But, when it’s a birthday present to yourself, you can dictate the rules. Previewing the next Panda is an innovative electric powertrain, and the ability for customers to have the car wrapped to a colour of their choice. Here is something which got lost amongst the early morning Geneva madness. Rolls-Royce has launched a special model from the Bespoke collection, with the Phantom Tranquility taking cues from space exploration. Space-grade aluminium trim features inside, whilst the volume controller includes pieces of an actual meteorite! Truly out of this world. It might have already sold – for an incredible €11 million – but that is no reason not to get the full story on the Bugatti La Voiture Noire. Proving that the Volkswagen Group will leave no brand without the new MEB platform, Seat’s taken on the electric car is also in Geneva. The el-Born is named after an area of Barcelona, and features a 200hp electric powertrain. A 2020 launch date matches offerings from Skoda and Audi. Mazda has a brand-new compact crossover in Geneva. However, the CX-30 doesn’t feature an electric powertrain, so Mazda isn’t ticking all the trending boxes. It will at least be on sale later this year and is, arguably, rather attractive for an SUV. Fancy a glimpse at the future? : #EngelbergTourer makes its Global Premiere @GimsSwiss​!!! Just like Nissan’s IMQ concept – see 11:28 – Mitsubishi has a new SUV offering with an electrified powetrain. Given the crushing success of the Outlander, who would beat against another major win with a production version of the Engelberg Tourer? 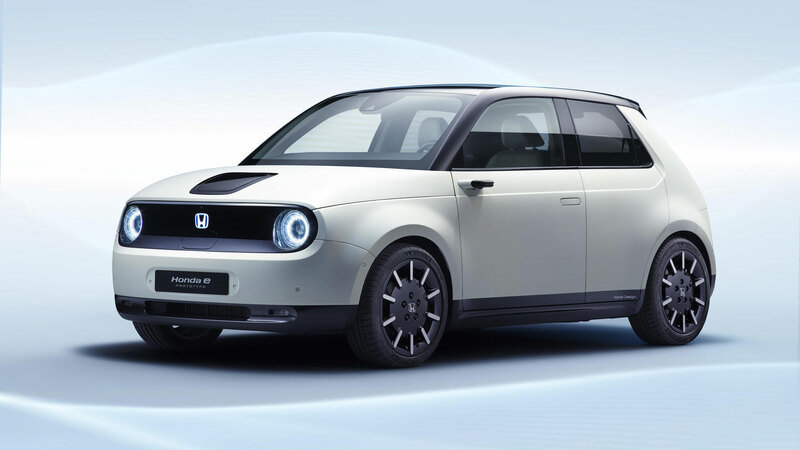 The E Prototype may have us totally charmed with its style, but for Honda it represents a much bigger concept. 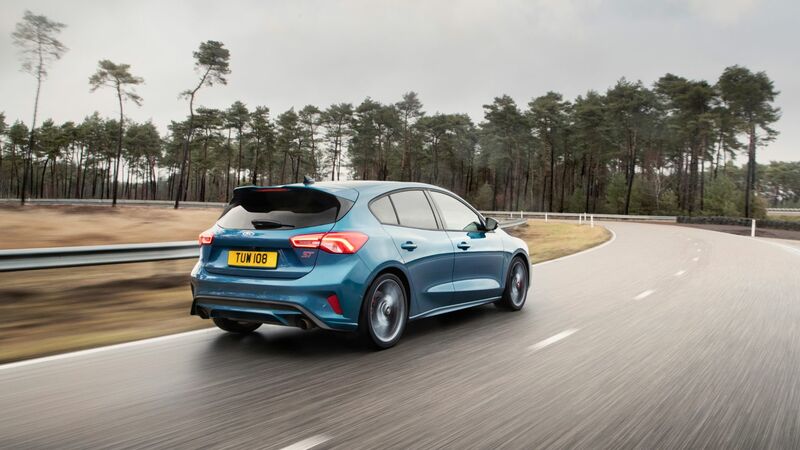 The brand has committed to total electrification of European models by 2025, although that will be scant consolation to workers at the Swindon factory. More batteries, more grille. The message from BMW at Geneva in 2019. Electrification is key to the future of the Jeep brand, and the Fiat Chrysler company as a whole. Just last week FCA announced an impressive $4.5 billion investment plan to build battery and plug-in hybrid Jeeps in Detroit. Want more details on the new Mercedes-Benz CLA Shooting Brake and the ‘predator nose’ design? Well, here you go. Crossover SUV? Tick. Electric powertrain? Tick. Nissan’s IMQ concept creation is bang on trend for the 2019 Geneva show. if you’ve had just about enough of Aston Martin supercars for one morning, fear not. There’s a brand-new SsangYong Korando making a debut at Geneva, too! All the details on Aston’s new supercar can be found here. Everybody recovered from the intense Aston Martin announcement experience? No? Well here is a video to try to pull all the mid-engined craziness into one place. Oh, and there’s another major announcement from Aston Martin – the Lagonda All-Terrain luxury SUV! We already have all the information on this one. Phew, an intense few moments from Aston there! There’s also a new mid-engined Vanquish concept from Aston. This is the one we’ve spent all morning waiting for. No Mercedes-AMG or Cosworth engines here, this one is the work of Aston Martin itself. Think McLaren Senna, but with development work by Red Bull. Maybe this should be the AM-RB ‘Vettel’ then? The big news from Aston Martin is just a few moments away. This isn’t it, but is there ever a bad time to look at the Valkyrie? Audi might be talking about plans to roll out huge numbers of electric cars over the coming years, but it is still willing to celebrate the internal combustion engine. The Decennium (it is a real word, honest) marks the 10th anniversary of the V10-powered R8. It’s that Volkswagen MEB electric platform again – see 09:21 and 07:20 – but this time under a concept dune buggy. Unlike the Audi and Skoda, don’t expect a production version of this in the near future. Sorry. Honda absolutely stole the show when it revealed the Urban EV concept car at Geneva. This year it is back with a prototype version that is edging closer to production reality. Performance AND lifestyle all in one package? Get all your fast compact crossover needs sorted with the new Volkswagen T-Roc R. Coming to a new-build housing estate near you soon. With most announcements made well in advance of actual motor shows, there are typically very few ‘bombshell’ moments at the event itself. 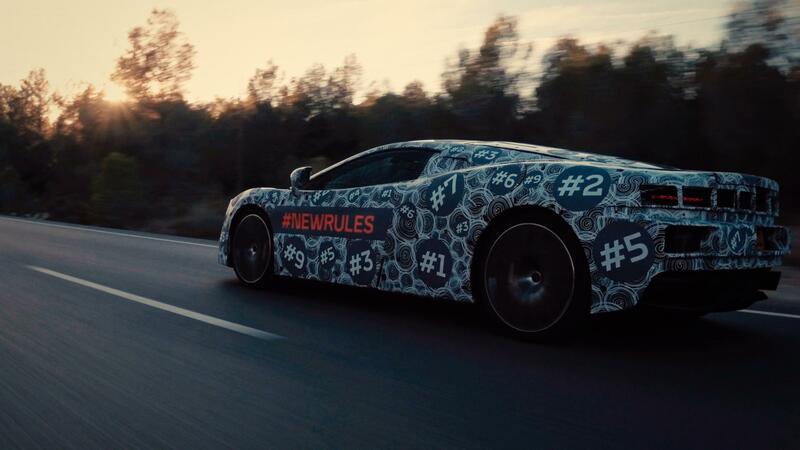 However, McLaren Automotive CEO Mike Flewitt caused real surprise with news that the brand will launch it’s “own interpretation of the Grand Tourer” later this year. Volkswagen has now produced an astonishing 30 million units of the Passat, with a new updated version launched at Geneva. This also includes a special limited edition R-Line version. Power will come from a 265hp 2.0-litre turbo petrol engine, and just 2,000 cars will be built. Another electric Skoda concept in Geneva, the Vision iV, was revealed to the world at the Volkswagen Group Night. Using the new MEB modular platform – just like that Audi Q4 e-tron from 07:20 – the production version is not far away. Along with the debut of the new Kamiq small SUV – which you can read about in our preview, here – Skoda is also showing off a concept electric bike. LED lights and ABS braking make this sound quite cool, but would you rather wait for an inevitable Audi version? 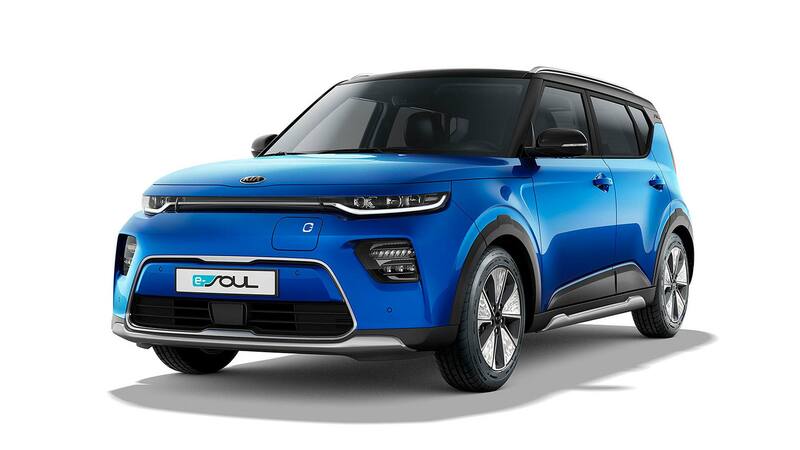 In terms of electric Kia models you can buy very soon, Geneva also sees the launch of the new e-Soul. There is the potential for a range of up to 280 miles once fully charged. All the details, prices, and more right here. Kia has gone big on electrification at this year’s Geneva Motor Show. Taking centre stage is the dramatic ‘Imagine by Kia’ concept car. If you think the outside is impressive, the inside features a dashboard made of 21 individual screens, intended as a humorous nod to the ever-growing size of displays in new cars. You can read about all the impressive details on the ‘Imagine by Kia’ concept with our handy guide. The suspense is genuinely palpable. What on earth could Aston Martin launch that will outdo even the Valkyrie?! Style and space. The new Mercedes-Benz CLA Shooting Brake. Here it is in action – the new Mercedes-Benz CLA Shooting Brake hunting down prey with its special ‘predator nose’ (see 08:05). Or, more likely, heading to Waitrose to hunt down some artisan sourdough. Yellow paint a bold choice, too. The Porsche press conference is underway, featuring the latest 911. But actually just how new is the most recent rear-engined addition to the Porsche family? Previously interested in a New Stratos from Manifattura Automobili Torino, but wanted a manual gearbox for full retro thrills? Panic no more. Say hello to the most expensive new car ever sold. This is the Bugatti ‘La Voiture Noire’ and it has cost one enthusiastic owner €11 million (£9.45 million) plus taxes. It is a genuine one-off, and has been inspired by the classic Bugatti Type 57 SC Atlantic. Power comes from the Chiron-sourced 1,500hp W16 engine. Here is one of the big debuts from Mercedes-Benz – the brand-new CLA Shooting Brake. Apparently it features a ‘predator nose’ which is inspired by the way a predator looks at prey. Hmm, just maybe don’t tell Arnold Schwarzenegger that the Predator is back. Lamborghini now offers the revised Huracan Evo in both Spyder and Coupe versions. The new Renault Clio has now made an official debut at the Geneva show. All the details were released before the show, and you get the full lowdown on the newest French supermini right here. And just in case you needed a reminder of Bentley’s famous racing past, here is a ‘Blower’ Bentley! Next up on the press conference rollercoaster is Bentley, although the brand used Monday’s ‘Volkswagen Group Night’ to reveal the special GT Number 9 Edition of the Continental GT. Just 100 examples will be built, with the number 9 paying tribute to the historic Birkin ‘Blower’ Bentley. One of the first major reveals of the day is Audi’s new electric Q4 e-tron concept. Although badged as a prototype, a production version of this compact SUV is not far off, with Audi promising it will hit showrooms by the end of 2020. Aston Martin is set to have a very big day at Geneva. What’s hiding beneath the covers? Well, you’ll just have to wait until 10:00 here in the UK. Our man Richard is already on the ground in Geneva! 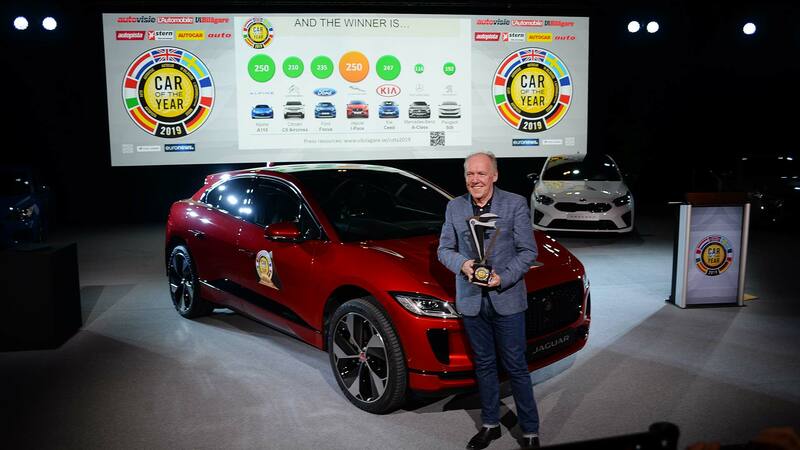 14:45 – Jaguar wins Car of the Year award! After a genuinely tense and nail-biting vote, which saw the top two cars tied, the Jaguar I-Pace emerged victorious as the 2019 European Car of the Year. You can read the full story of how Jag’s electric SUV emerged on top in our special feature. We’re wondering if Jaguar are now questioning the decision to skip this year’s Geneva show. It might be one of the biggest events on the annual motor show circuit, but 2019 has seen a number of manufacturers choosing to miss Geneva. Find out who will be staying at home with our guide. With the clock ticking down to the start of the 2019 Geneva Motor Show, we’re already excited about the new cars we expect to see. We have a packed preview article to whet your appetite, although Honda may have already stolen the show (again) with the E Prototype.